The Nexhi ZIP-PWR-EX1-B Retractable AC Power Extension Cord is best suitable for mobile users while travelling purpose. Nexhi ZIP-PWR-EX1 Retractable AC Power Extension Cord. Using this adapter you can quickly charges NI-Cd, Ni-Mh and Li-Lon batteries in less than an hour. The quality for This adapter is very good and it is available in a resonable price. 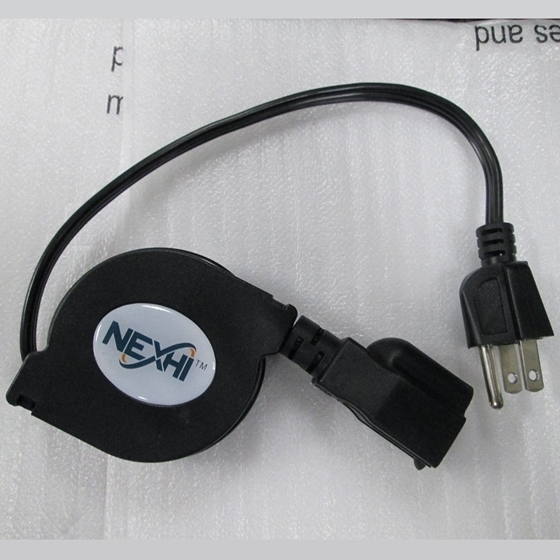 Nexhi's quality retractable 5' three-prong extension cords allow you to easily extend computer and other peripherals power cables. These quality cables provide the perfect solution for when power outlets are not conveniently located nearby. The perfect solution for when power outlets are not conveniently located nearby. Extends to 5 feet long. Easily extend computer and other peripherals power cables. Power Cord Extension. 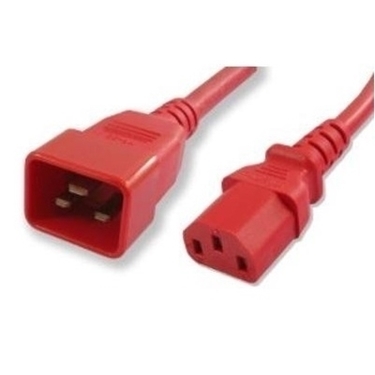 Order the length that you need to help increase airflow, reduce power loss, reduce contact with Ethernet cords with the right size power cord. 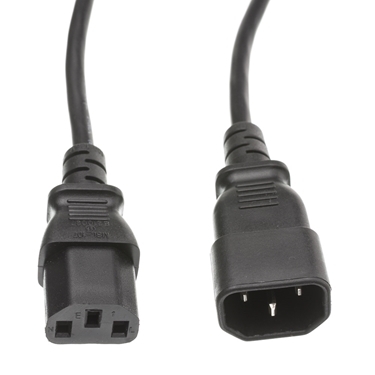 This Nexhi CW-10W1-02212 European Computer/Monitor VDE Approved cord features a C13 (female) connector on one end and a C14 (male) connector on the other end. This is a 1 foot standard power extension cable. 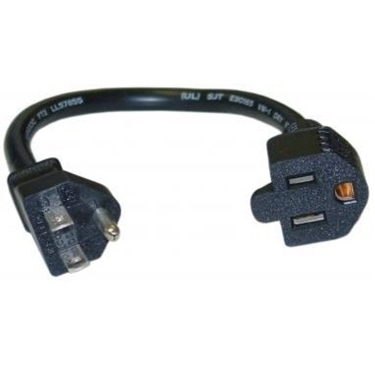 This power cable features the NEMA 5-15P (standard three prong power plug) to a NEMA 5-15R (female) power cord.